These are great questions to ask and the answer I like to give can be found in a very simple analogy. 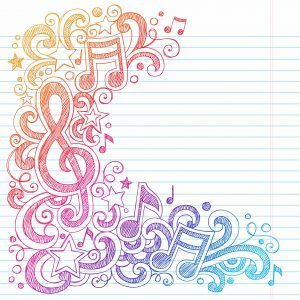 What will happen if you don’t know your notes? Imagine you’re travelling to another country where they don’t speak English, and when you arrive you have no way to communicate to other people, and no way of understanding what’s going on or what anything means. It would probably be very stressful. If these are things that you would also like to be able to do, then I’m going to give you a few tips on how to learn the notes on the neck quickly so that you are very to do these things more easily. How to learn the notes? Learning the notes on the neck can take some time if you’re unsure of the best way of working on them. Sometimes it can be frustrating to remember where they are, you practice them for a day and then the next day they’ve completely disappeared from your memory. When you first start to learn the notes on the neck, concentrate on doing 1 or 2 strings only. 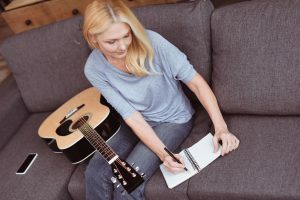 We always recommend starting on the lowest two strings (E and A string) because these are the most important to know as you progress onto power chords and barre chords for your playing. If you want to feel like a musician, then it’s important for you to learn the notes on all six strings. It’s very useful for playing triads, other type of chords, soloing, melodies, the list goes on. The other important thing to remember is that you want to keep increasing the speed you can find the notes. I would recommend starting on 50 BMP and slowly move up. Write down a list of notes for you to find in order along the strings and increase the speed over time. This is important because when you are under pressure, you want to be able to think about other things more important than just where the notes are. So increasing the speed consistently will help you find the notes even when you are under pressure in the future. It’s important to say the fret numbers as you find the notes as well it will help you when you are reading tab or thinking to yourself in your head or talking to anyone else as well. Just go nice and slow and try to go as smoothly as possible in the beginning and practise this consistently to see long term improvements. Guitar Tuition East London with its team of guitar teachers focuses on specialising in contemporary guitar teaching for adults and beginners who want fun beginner guitar lessons in London, England and also intermediate and advanced as well.